I just love this portrait of a deeply troubled man who just happened to be a hockey player, a sport that no matter how much he loved it brought out the worst in him. From his anger issues to the expectations of the owners and fans, Marek and the manner in which he played “his” sort of game was the only way he could continue his career in hockey, no matter the level. And when we start into the story, we see Marek at the lowest level of his career, the ECHL. His actions, anger, and violence that followed him have sent him down the leagues from the NHL to the AHL on down to this his final team and last chance. As well he knows. Why Marek is so mired in his anger, so quick with his fists is something that the author slowly lets us in on. Of course, it all starts with his childhood and a father he idolized lost to violence himself. But the key to unlocking Marek lies with Shey, the yogi next door who will lead Marek to a path to understanding. I loved Shey and his studio and of course that cat! The calm and beauty of Shey seemed to seep right out of the story and my Kindle itself. How could he not have an affect on Marek. But it’s Marek and the painfully hurt boy inside that will grip the reader’s heart. The one that never got over his loss, the one that felt tossed away, and abandoned, that’s the one that we come to feel so deeply for. He’s so real, so twisted up inside. And that makes his slow revelations about himself, his history, Shey, and their relationship even more rewarding. Truly, VL Locey makes us feel the warmth of the sun as it starts to settle over Marek and Shey after a long winter of cold and perhaps deprivation. This may be one of my favorite books of hers yet. For me, it has everything. A memorable plot, two characters I can’t get out of my head, and a ending that I’m still smiling about. Cover Design: Designs By Sloan. I love this cover. That face is stunning and Marek all the way. This entry was posted in 5 star Rating, Book Reviews, Books, Contemporary fiction, eBooks, LGBTQ Book Reviews, M/M Book Reviews, M/M Contemporary Fiction, M/M Fiction, M/M Romance, Uncategorized and tagged A MelanieM Highly Rated Novel, A MelanieM Review : Touch Of A Yellow Sun (Color of Love #2) by V.L. Locey, author VL Locey, Color of Love series by VL Locey, Touch Of A Yellow Sun (Color of Love #2) by V.L. Locey. I live in a county that used to be almost entirely agricultural, horse farms, sweeping forests, orchards and fields of corn and grain. Now mostly mini mansions or townhomes/condos as far as you can see depending on where you live in the county. That you had a choice of a farm on your license plate was highly ironic given how fast the farms were being sold and plowed under. But what we weren’t seeing was the emotional cost on the other end. Kaje Harper puts a face to that loss. And it’s devastating. That Kaje Harper now delivers in heart wrenching detail. If for no other reason to buy this book, it’s for the portrait of what the loss of a legacy, a family, a person’s foundation does to one young man. It will hit you in the gut. And we don’t even go through the worst of it with him. That’s already been done. By the time we meet Luke Lafontaine, he’s survived the loss of his dad to cancer, the sale of his family house and farm, including livestock he himself raised, to auction, and been homeless. No, now he’s through that, but just barely. But all through this story, how that has all impacted Luke, in small ways and large, will return. And it will be shattering. It will also be a reminder that it’s happening to kids and families all over the nation with little media coverage. It will make you weep for Luke, for all those he represents, and for the farmers that no one seems to be speaking for anymore. Remember Farm Aid anyone? Kaje Harper gets this so incredibly, harshly right. We feel the pain, as we should, of the struggle to stay afloat in this economy. And how fragile the bar is on keeping the farm or losing it. Anyhow. Combine Luke with a young man named Mason, eyeliner, clarinet, college going Mason (I love Mason) and you have such a wonderful endearing romance and relationship. The dynamics between them was sweet and supportive. It went both ways as Mason was used to guys being embarrassed by his love of lip gloss and liner. It felt so real, painfully so as they worked their way towards a future together. I will remember this book for quite a while. I’ll remember the trials and the joys that Luke went through, his “Anne” (no spoilers, but ‘sniffles”), and the fact that a Christmas story for me sometimes has a title called Fair Isn’t Life by Kaje Harper. Really, I just loved this book. I think you will too. I highly recommend it. Cover Artist: Brooke Albrecht. I really like this cover, right down to the dairy cows. Great job. This entry was posted in Book Reviews, Books, Contemporary fiction, Dreamspinner Press, eBooks, LGBTQ Book Reviews, M/M Book Reviews, M/M Contemporary Fiction, M/M Fiction, M/M Romance, Uncategorized and tagged A Dreamspinner Press States of Love story, A MelanieM Highly Rated Novel, A MelanieM Release Day Review: Fair Isn’t Life by Kaje Harper, author Kaje Harper, Fair Isn’t Life by Kaje Harper. Sometimes a story, a theme just calls out to an author and together they make a sort of narrative magic. I believe that happens here with Wait for Me by Kris Jacen. With the author’s intimate knowledge as a military spouse and all that implies, it’s use to provide the framework for the romance of Master Sergeant Jeff “Mackey” MacNamara and Scott Ash becomes a foundation not only for these two main characters but for all of the heptad (a close knit group of soldiers) and a retired MWD (military working dog) as well. The ties that bind and make the necessary support system for the soldiers and spouses that wait are all a deep part of Wait for Me. It starts as the very first steps of a military romance as Jacen shows here if it’s going to succeed, then through the acceptance and establishing yourself as part of support system for each other, the soldiers and those left behind, dogs included. All while keeping the romance and love intact, a very scary and sometimes hard thing to do, made so much easier when others have your back. The characterizations here are layered, believable, and so full of warmth and life that the time spent with them flies by. I’m not just speaking of Mackey and Scott (although I love them), but all the members of their group, from Mooney to e their spouses, Nibblers (kids), families and sisters, and most of all, a very special retired MWD named Dill, who stole my heart from the get go. There’s some drama, but mostly it’s about adjustment and life. I have to admit there were times when I wish the author had included pictures of what that unit had to have looked like dressed up for the weddings and yes, I was choked up during the scene when the troops were welcomed back. I defy anyone not to be grabbing for the tissues or remain dry eyed then. Waiting for You by Kris Jacen feels so real, so heartwarming, like it’s the story the author was meant to write. It feels intimate, loving, touching, and wonderful. I highly recommend it for all lovers of contemporary romance and a love that feels true. Cover art: Jared Rackler. I love the bottom section with the soldier and dog. That’s perfection. This entry was posted in 5 star Rating, Book Reviews, Books, Contemporary fiction, eBooks, M/M Book Reviews, M/M Contemporary Fiction, M/M Fiction, M/M Romance, MLR Press, Uncategorized and tagged A MelanieM Highly Rated Novel, A MelanieM Review: Wait For Me by Kris Jacen, author Kris Jacen, Wait For Me by Kris Jacen. Every now and again, a story comes along that you wish you could give more than the allotted 5 stars. The Stark Divide by J. Scott Coatsworth is one of those novels. A science fiction saga, the first in a series, it’s giant narrative footprint calls to mind some of my favorite science fiction authors, from Arthur C. Clarke in it’s clear, forward use of science and up to the creator of Star Trek, Gene Roddenberry, in it’s all inclusive outlook on humanity, the sweeping scope and incredible imaginative flair of the author makes this story one of the true highlights of my reading year. Even more amazing after reading the foreword and discovering how close The Stark Divide came to never even being published at all. What a journey for both author and novel. That’s also an author’s note not to be missed. The Stark Divide is separated into three sections starting with Seed, each transitioning with huge steps in human generation (a family), huge growth (an alive IA earth world/ship), and a vision for the human race. The Earth is an ecological disaster, the humans left barely surviving on the populated livable land masses after the event known as The Burn which killed millions, leaving the rest scrabbling for their existence. The hope for the human race lies among the stars and the three living world/ generation ships planned for space, of which the 43 Ariadne, or Forever is one. Coatsworth takes us through the incredible birth of Forever in Seed, the introduction of the people so important to the beginnings of this saga and the foundation of the story. 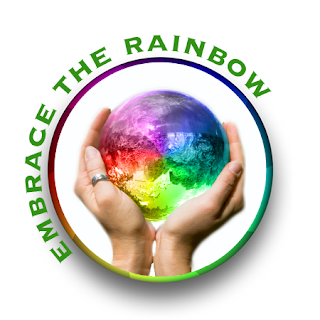 Everyone and everything in The Stark Divide grabs at your heart, and your mind, engaging both your curiosity, your imagination, and yes, pulling at our own fears at the potential for ecological disaster going on now. Beautifully thought out as well as soaring on the author’s on creativity and extrapolation, don’t be surprised to feel yourself wanting to be a part of this Utopia and then beginning to fear for it when all the ugliness that killed the Earth finds it’s way to Forever. As I said, this is only the first story in a series. I can scarcely wait for the next one to be released. I need to know where the saga goes next. You will too once this saga has you hooked as thoroughly as it does me. If you love science fiction, grab up a copy now and prepare to sink yourself into a world unlike any other. It’s incredible, thought provoking, highly imaginative, and easily one of the best books of 2017! Cover art by Aaron Anderson is perfect, a wonderful artistic rendering of parts of Forever. This entry was posted in 5 star Rating, Book Reviews, Books, eBooks, LGBTQ Book Reviews, M/M Book Reviews, M/M Fiction, M/M Romance and tagged A MelanieM Highly Rated Novel, A MelanieM Release Day Review: The Stark Divide (Liminal Sky #1) by J. Scott Coatsworth, author J. Scott Coatsworth, DSP Publications, LGBTQIA Science Fiction, Science fiction, The Stark Divide (Liminal Sky #1) by J. Scott Coatsworth. I remember the Rodney King beating and the riots that followed in Los Angeles. Here in the Washington, DC metro area we had our own race riots of the 90’s…the Mount Pleasant riots of 1991. Still both events are in the distant past. Yet Marshall Thornton brings it vividly to life in his novel Night Drop, the first in his new series Pinx Video Mysteries set in the 1990’s. Thornton’s main character, Noah Valentine, is the owner of Pinx Video, that relic of the past, consigned to history by new technology. Ah, VHS tapes, Blockbuster, and late returns! We meet Noah in his store with his employees wondering if his store will survive the riots currently taking place. The author seamlessly folds in all the elements and details of the era (old gadgets, movies, topics) into his story without making it a history lesson or info dump. I lived it and loved the references, noting them yet they never took my attention away from the drama that was Noah’s life and the riots occurring in L.A. Oh, and the murder too. Yes, this is a murder mystery and a terrific one wrapped up within the tumultuous emotional times of the 90’s. Race riots, gay rights, so much more and Thornton captures it all. Noah starts off as one man who hesitates to get involved because of his own issues and then slowly he inserts himself into the investigation of a murder that no one seems to want solved in a hurry, if at all. Noah is a man already full of loss and pain, although at first we only are aware of part of the story. His long term lover, partner at this time in history, has died and they were estranged at the time of his death. That estrangement has cost Noah his home, their shared friends and more, leaving him with only the video store and his apartment in the Hills. You are able to emphasize with Noah, seeing a man in stasis, then fall in love with him as he comes back to life the more he investigates. The characterizations here are superb. Layered, believable and in some cases, haunting. These are people who having staying power, whether it’s Noah’s friends in the apartment units around him (love them) or the Detective on the case that Noah makes a connection with. I was invested in them all emotionally, needing to know what happened to each and everyone. The verdict is still out on some and I hope to see many of them in the next story. Then there’s the murder or should I say murders and the wild, twisty case to the revelation that follows! It was both believable and grounded in the times, yet the suspense kept me riveted to the story! Yet the tour de force here for me is the overall picture Marshall Thornton paints. The bigotry and hate of the era, the closeted vs The Castro, the fear vs the bravery, the search for love vs the bittersweetness of the times. Oh that ending, that was a punch to the heart. And yet again the author balanced our hopes for Noah against our knowledge of the times, knowing that this is only the first of the series. We can always strive for the best for Noah can’t we? I highly recommend Night Drop (A Pinx Video Mystery #1) by Marshall Thornton. It’s beautifully written, the story is timely given our current political climate, and the characters memorable and deeply moving. I can’t wait to see where the author takes this series next. Cover art is amazing, it all has the elements of the 90’s front and center. I love it. 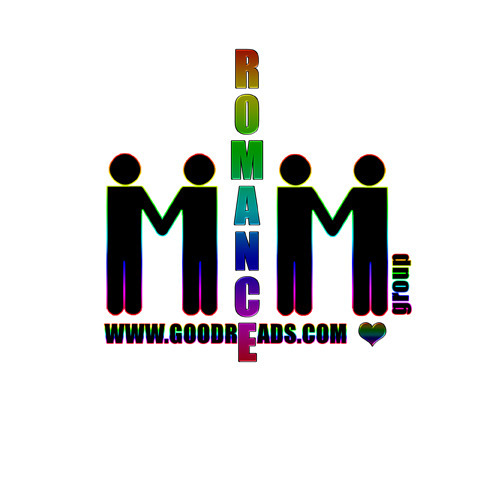 This entry was posted in 5 star Rating, Book Reviews, Books, eBooks, LGBTQ Book Reviews, M/M Book Reviews, M/M Fiction, M/M Romance, Uncategorized and tagged A MelanieM Highly Rated Novel, A PInx Video Mystery series by Marshall Thornton, author Marshall Thornton, Kenmore Books, Night Drop (A Pinx Video Mystery #1) by Marshall Thornton. 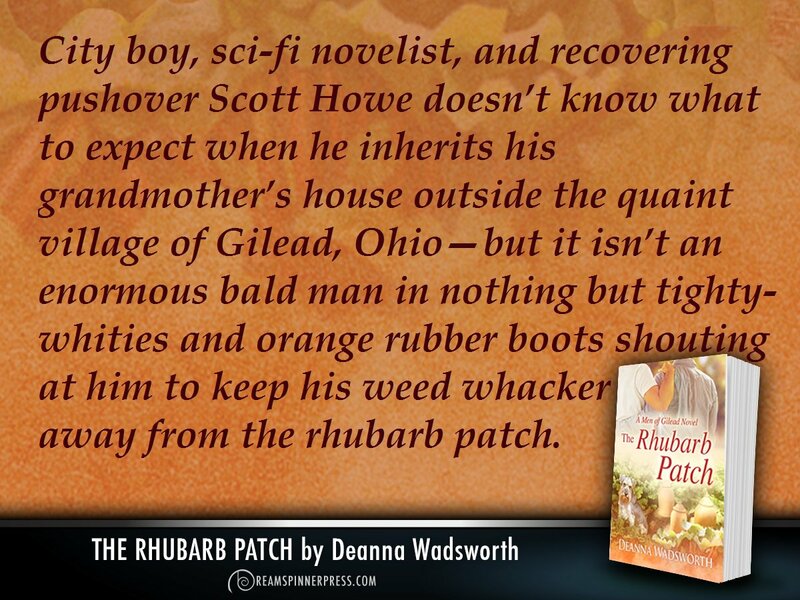 This entry was posted in Book Giveaways, Book Reviews, Book Tours and Contests, Books, Contemporary fiction, Dreamspinner Press, eBooks, LGBTQ Book Reviews, M/M Book Reviews, M/M Contemporary Fiction, M/M Fiction, M/M Romance, Uncategorized and tagged #EnticingJourneyBookPromotions, #OnTour with The Rhubarb Patch by Deanna Wadsworth #OneClick this #MMRomance today and check out the crumble #Recipe, @DeannaWadsworth, A MelanieM Highly Rated Novel, author Deanna Wadsworth, The Rhubarb Patch (Men of Gilead #1) by Deanna Wadsworth. 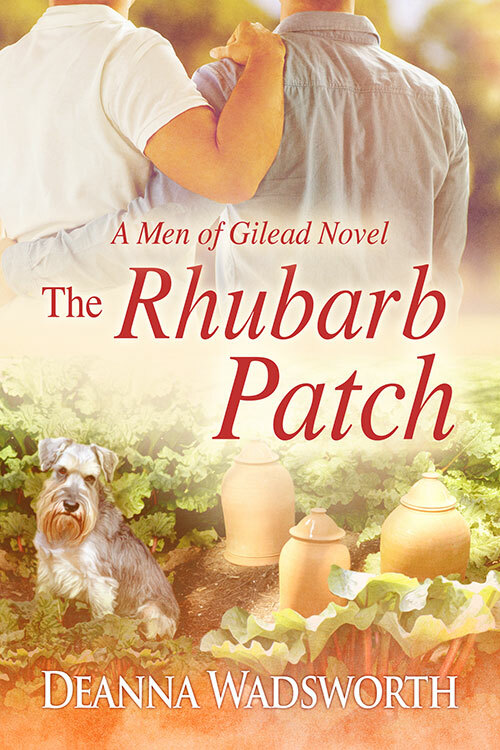 I loved The Rhubarb Patch (Men of Gilead #1) by Deanna Wadsworth. As a fan of the ‘slow burn’ and a narrative paced according to the storyline, this book sang to me like a katydid on a summer country night. It was sweet, realistic, heartwarming, and loving. Wadsworth has given us a beautifully written story full of characters with heart, dealing with loss, homophobia, warring relatives, and a mother whose maternal abilities leave much to be desired. And all the people here feel true and layered, whether we like them or not, two legged or four legged. 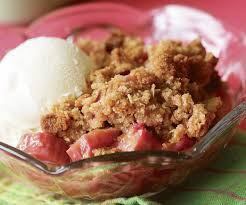 And it all starts with a rhubarb patch. Prepare to fall in love with the country here and the vegetables of the garden along with Scott as Phin educates his “City Mouse” in his newly acquired home and gardens. As the men tentatively learn about each other (also as Scott learns about the grandmother he never knew, who was adored by Phin and the people of Gilead) and Phin starts to open up to Scott about his past and his loss, the reader is pulled into the growing intimacy of their shared lives and relationship and country living. We watch and listen as Scott’s affection, then love for this small house/farm and neighbor develops and deepens. And the same for Phin. We laugh and are charmed by Sister Mary Katherine, Phin’s aging schnauzer. And yes, made more than a little crazed by Scott’s dysfunctional mother, her homophobic boyfriend and attitudes towards Scott’s life. But always the author keeps us actively engaged in the relationships, the town, and especially in Phin and Scott’s relationship as the seasons change and the gardens along with it. There are several elements here that Wadsworth handles beautifully. As they aren’t mentioned in the blurb, I won’t reveal them here. But the manner in which it is revealed, handled as a part of their lives and connected to another character is smooth, intelligent, and believable. When I finished the story, I was happy knowing I wasn’t done with the town of Gilead, this couple and the person who most likely will be getting their romance next. You see I’d fallen just as deeply in love with them all as Scott had and now I can’t wait for my next visit to come around. I want to check in on them, see how everyone is doing and see how the next romance will develop…slowly….will be my guess. I highly recommend you pick up this book and get reading before the next one comes out. Cover Artist: Anne Cain. What a great cover. From the men, to the patch to Sister Mary Katherine over in the corner waiting to steal some vegetables. It’s perfect! This entry was posted in Book Reviews, Books, Contemporary fiction, Dreamspinner Press, eBooks, LGBTQ Book Reviews, M/M Book Reviews, M/M Contemporary Fiction, M/M Fiction, M/M Romance, Uncategorized and tagged A MelanieM Highly Rated Novel, A MelanieM Review: The Rhubarb Patch (Men of Gilead #1) by Deanna Wadsworth, age difference in couple, author Deanna Wadsworth, The Rhubarb Patch (Men of Gilead #1) by Deanna Wadsworth.